From spectacular natural scenery to gentle vineyard slopes, and urban sophistication to neighborly small towns, there are few places on Earth so well-suited for active adults and retirees as Northern California. With lively urban centers and some of the most beautiful natural environments on Earth, Northern California offers a breathtaking range of active retirement living options that are also surprisingly affordable. Every part of Northern California has its own perfect climate. The shores of the Pacific Ocean enjoy a pleasant Mediterranean climate, while in the Central Valley, quiet upscale agricultural towns such as Brentwood offer beautiful days on end of sunshine and warm temperatures. 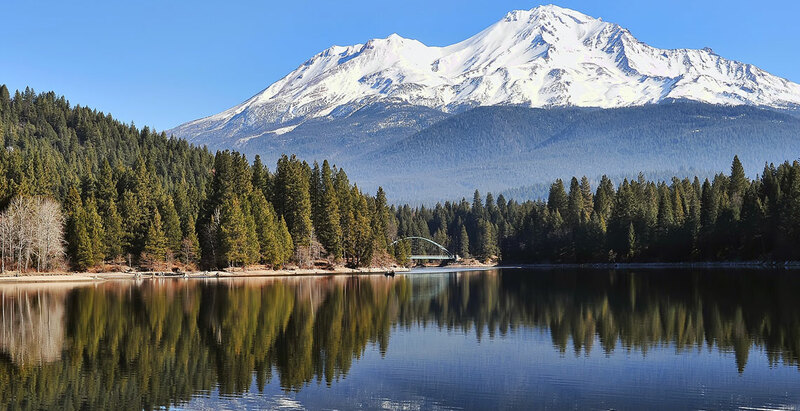 For those who still want to experience seasons, the slopes of Mount Shasta and southern Cascades and Klamath Mountains have just the right amount of snow. The unspoiled beaches, breathtaking vistas, and many urban amenities are just some of the many hidden gems of Northern California waiting to be discovered by the active senior. With so many retirement living options to choose from, you are certain to find one that is absolutely perfect for you. Although Northern California has a wide range of climates, winter temperatures are generally mild, with temperatures rarely dipping below freezing. Most of Northern California has a Mediterranean climate, with cool, rainy winters and dry summers. Areas closer to the ocean vary less in temperature than areas farther away, with the cool California Current helping to moderate temperatures. In the northernmost part of Northern California, summer temperatures rarely go above the mid 60s, while winter daytime temperatures average in the 50s. Only the northern mountain regions regularly get snow. The large flat expanse of the Central Valley is hotter and much sunnier than areas closer to the coast or higher in the mountains. During temperature inversions, air quality is a concern in San Jose and some other parts of the Central Valley. Northern California is an ideal destination for active adults and seniors. From hiking among the sequoias to golfing some of the best courses in the country to wine tasting in the Napa Valley, Northern California has it all. It is one of the few places in the entire country where it is possible to ski on fresh snow in the morning, then drive an hour to enjoy a round of golf in the afternoon. In the nearby vacation region of Big Sur, a day hike will take you all the way from redwoods to cacti. Many of the active adult communities in Northern California are nestled in beautiful small cities and towns, each with its own unique charm. Places such as Murphys have been voted among the top coolest small towns in America. Larger urban centers, such as San Francisco and Sacramento, offer a pleasant range of shopping and cultural experiences. Despite its overall diversity, different regions of Northern California will suit certain lifestyles better than others. This area is an ideal place for active adults to live with endless recreational opportunities. The cost of living in Northern California is higher than the national average, but still lower than that of Southern California. The popular retirement destinations of Los Gatos, Los Altos, and Palo Altos have some of the most expensive age-restricted communities in Northern California. Whereas communities farther from the ocean and large urban centers tend to be the most affordable. Taxes in California vary considerably based on income level and property location, as well as by city and county. There are 6 state tax brackets, with the lowest being 1 percent and the highest 9.3 percent. Social security benefits are exempt but pensions are not. California has no estate, inheritance, or gift tax. Combined state, county, and local tax rates vary from 7.25 percent to 8.75 percent. Property taxes typically range from 1 to 1.3 percent of the home's value. Because property taxes are calculated based on the home's fair market value at the time of purchase and is not affected by any rise in real property values, now is an excellent time to consider a move to one of Northern California's active retirement communities. The quality of life Northern California residents enjoy is among the best in the United States. The geography and climate of Northern California all promote a healthy and active lifestyle at a relaxing pace. Many Northern California retirement communities are situated so as to be close to nature, without compromising proximity to urban amenities. Newer active adult communities such as those around Sacramento and Lake Tahoe allow active adults and retirees to enjoy life outside major urban areas while remaining within an easy 2 hour drive of the Bay Area and its top-notch healthcare.